The magazine is packed with health and well-being features, fashion, beauty, recipes plus home and gardening inspiration. Try Candis today and find out what you’ve been missing! 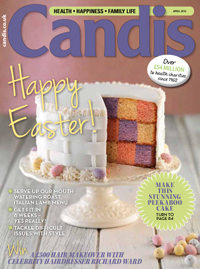 By committing to paying £3 for 3 issues of Candis you are giving permission for payment of £39.90 be taken at month 4 and you will automatically become a Candis Gold member, receiving all the Candis member benefits, a magazine each month and becoming part of something really special – Candis Club. You’ll also get a fantastic £15 M&S gift card as a thank you!